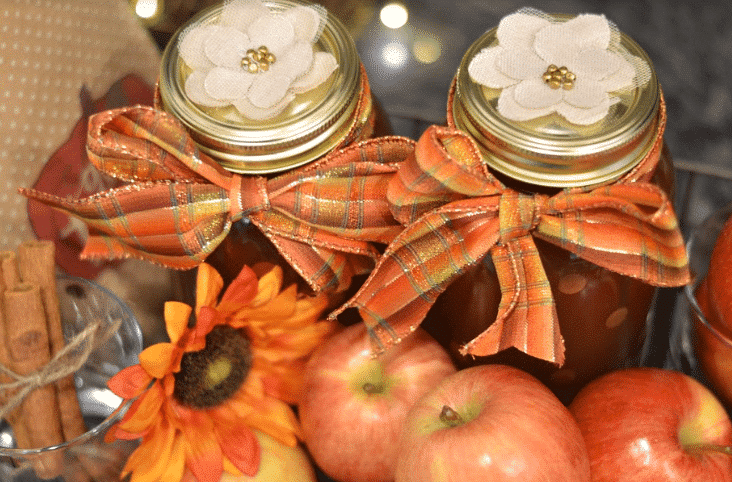 Instant Pot Apple Cider is a simple way to get rich and flavorful homemade apple cider. The Instant Pot helps lock in all the spices and flavors to give you that all day simmer flavor. 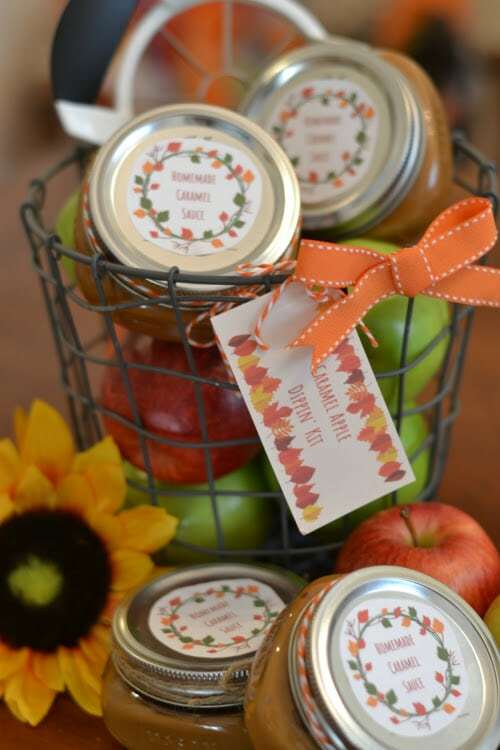 4 basic ingredients is all you need for the best apple cider you will ever have! Apple cider screams fall and winter to me! I remember always having a jug in the fridge when we were kids. If you have never tried it cold, you need too! It tastes like a spiced up cold apple juice. Chilled cider is our preferred way to drink, but you can always warm it up. We would sometimes warm it up to sip and other times drink it cold. Either way it always tastes delicious. Now as an adult I have found making homemade cider offers a more pure and crisper taste. I make this cider many times through the holiday season. Our family loves it, and it makes for a nice holiday gift! The difference between Apple cider and apple juice is all in the process that happens when they make it. While they look similar in color, both offer unique flavors and textures when you sip. Apple juice is filtered so it is a very smooth drink and often is pasteurized to be able to have a longer shelf life! While apple cider can sometimes be unpasteurized, have not been strained, and contains spices for flavor. Some stores sell pasteurized apple cider that does have a decent shelf life as well. I have learned over the years, depending where you live depends on how they make and sell cider. 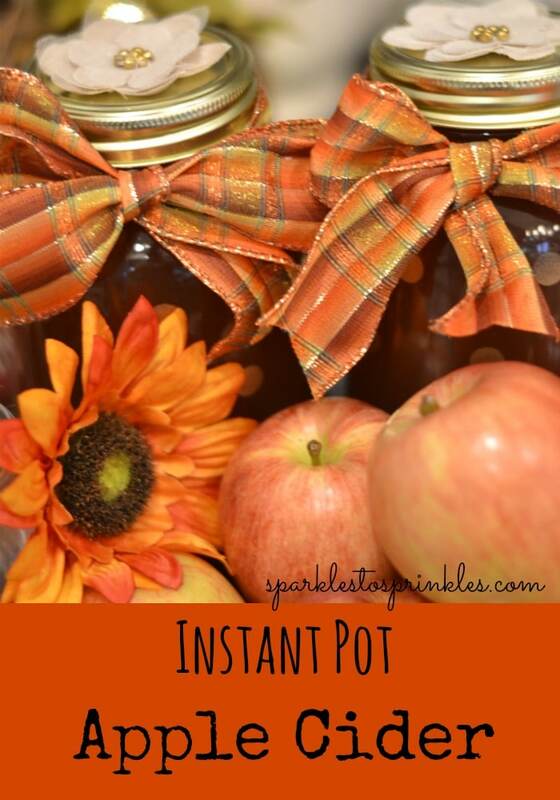 I reach for my Instant Pot for making apple cider because it is simple and marries the flavors together. With all that pressure built up it helps combine the spices with apples and infuse the water so it gives you a rich flavor. I have made stovetop versions and even slow cooker cider, and I really think the Instant Pot takes the cake for the best apple cider flavor and recipe. Looking for that perfect homemade gift to give at the holidays? Grab a wire basket, toss in some cider, glasses and my out of this world pumpkin bars and you have a gift! Add a homemade label and this gift is perfect for anyone. Coworkers, family, friends, neighbors, anyone would love to sip on this cider and nibble on bars! Instant Pot Caramel Sauce One simple ingredient is all you need for this rich, creamy, and delicious dulce de leche! Simple to make, safe, and a wonderful affordable gift option. Put in a nice jar with label and you have a fantastic gift. 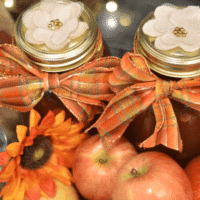 Apple Pie Moonshine Know someone who has everything and is hard to buy for? This apple pie moonshine is jam packed with apple pie taste in a smooth moonshine kick. Moonshine makes a really easy and tasty foodie gift to give to someone who already has everything! Make your gift stand out this year! Have you ever made a homemade apple cider? Quarter all apples, don't worry about seeds. Place in the Instant pot. Pour brown sugar over the top and add cinnamon sticks. Pour water to the max line. Place pot on high pressure for 1 hour. Do a quick release. Apples will be soft mash with potato masher or spoon. Place you instant pot back on manual high pressure for one more hour. Do a quick release and Pour over a mesh strainer or cheesecloth. Serve hot or Chill in the fridge and serve cold.